Gireesh puthenchery had defeated the life with his songs that piles up on his thoughts and vanishes within seconds. With kindness, he subdued the songs to his pen. Vayalar and P.Bhaskaran who had left over the Malayalam cinema's branch of music, there always he made his presence felt with his beautiful lyrics. From the bottom of his heart, Gireesh Puthenchery wrote on his lines with supreme spirit, affection and sweetness -- 'Neelavinte Neelabhasmam Kurianjavale', 'Harimurali Ravam', 'Aakash Deepangal', all flowed to the Malayalam cinema. He was the talent of family line. His father's erudition in Sanskrit, Jyothisham, Ayurveda was matchless and his mother's touch on Carnatic music were Gireesh puthencherry's strength. From that way the artist in him aspires to became the singer of K J Yesudas's callibre. Gireesh is one in a million song writer, Someone who knows singing, that's why music directors tune were recorded on Gireesh's guarantee. Like his own song's all the songs of Vayalar, P Bhaskaran, O N V Kurup, Yusufali Kecheri, was learn by heart to him. The tunes gelled with the stars of words, which stays as speciality of Gireesh. He came to the cinema field in 1991, with 328 films to his name and 1556 songs he had penned, includes "Mayamayooram" -- 'Ambaloor Ambalathil Aratoom', "Krishna Goodiyil Oru Pranayakalathu" -- 'Pinneyum-Pinneyum', are his perfect dedication to his work. Vidyasagar, Illayaraja, Raveendran, Ouseppachan, Lakhsmikant-Pyarelal are few music directors that whom Gireesh had worked with. "Pinnilamazha" is the movie for which Gireesh and Lakshmikant-Pyarelal worked together. Therefore their every song is known to Gireesh, that's why this South Indian lyrics writer went on to had a great time with Bollywood musician. Earlier when unfortunately Dassettan couldn't make it to the recording in Mumbai for that film, after that recording was re-arranged in Chennai and when Dassettan came to sing, Lakshmikant-Pyarelal left over all the responsibility of that song to Gireesh. 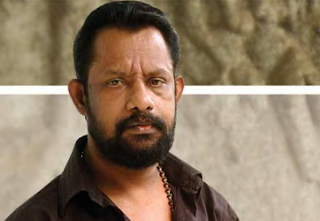 He started his golden words journey from the film "Enquiry", with the dreams of cinema, Malayalam movie director Vijayan presented Gireesh to the Malayalam cinema. Vijayan directed movie called "Bhramarakasha" turned Gireesh Puthencherry to assist in scripting of the movie. After that Ranjith scripted "George kutty c\o George kutty" turned Gireesh to the lyrics writing. Ranjith's recommendation brought him the chance to write songs for director Jayaraj's movie "Johny walker". In that movie, a song called "Shanthami Rathriyeel" had brought him critical acclamation, which reflects his career in Malayalam cinema. Ranjith's directorial movies like "Devasuram", "Aaram Thampuran", "Ravanaprabhu", "Nandanam" all includes his journey of golden era. In 1981, he joined Aakashavani to write scripts but before coming to the cinema. Gireesh wrote about 500 songs for the amateur dramas. In the interval of lyrics he wore the scriptwriter's face as well. "Kinnaripuzhayoram", "Pallavoor Devanarayanan", "Vadukumnathan" are the movies that had got birth from his hands. He was in the work of new script of "Raman Police" as Mohanlal in the lead role. He had also finished the script till interval. It tells about a stud policeman, the story stays as big hope for Gireesh Puthencherry. In the midst of that script work about four months back, he was hospitalized as he vomited blood. After that Gireesh had tried to leave his bad habits, while after a long gap he returned to Kochi. Later on he attended the funeral services of actor Cochin Haneefa, after returning from there he felt unwell. He was on the scripting work of the new film with Mammootty, but before that god's call was arrived. Gireesh Puthencherry had left the bunch of songs for music lovers, which can passes through era's and the scripts for the stars whom Gireesh want to work with. 2003 - Kerala State Award - Gaurishakaram. Kerala Film Critics Award - ('Surya Kireedam Vinnu Odinnju..') - Devasuram.